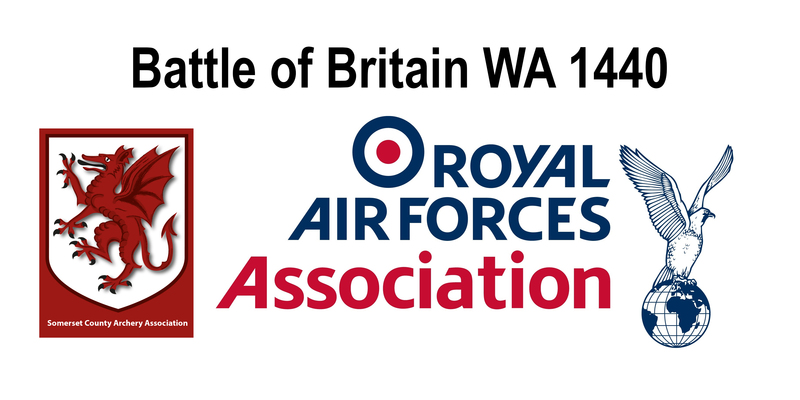 Despite a very low attendance this year at the Battle of Britain WRS WA 1440 shoot, an impressive total of £113 was raised for the Royal Air Forces Association, due to the generous donations from Somerset archers, and those who purchased raffle tickets on the day. Somerset County Archery Association expresses their thanks to everyone involved in organising and participating in this event. More information on the Royal Air Forces Association can be found here.